Mumbai, March 23: Nadurbar Lok Sabha seat is one of the 48 parliamentary seats in Maharashtra. 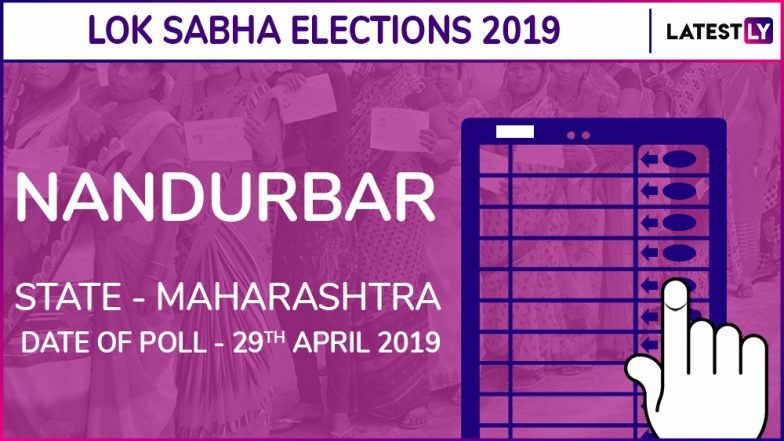 Polling for Lok Sabha election in Nandurbar constituency will be held on April 29 in the fourth phase of general polls. The result of Nandurbar Lok Sabha election will be declared on May 23. In Nandurbar, the Bharatiya Janata Party (BJP) will lock horns against the Congress to retain the Lok Sabha seat. The BJP reposed faith in its sitting Member of Parliament (MP) Heena Vijaykumar Gavit and renominated her. The Congress party, on the other hand, declared KC Padavi as its candidate. The process of filing nomination for Nandurbar Lok Sabha election will begin from April 2. The last day for nominations would be April 9. Scrutiny will be done on April 10 and the last date for the withdrawal of the nominations will be April 12. Lok Sabha Elections 2019 Schedule: How Staggered Polling Could Help BJP. The BJP and ally Shiv Sena are contesting 25 and 23 seats respectively of the total 48 Lok Sabha constituencies in the state. The Congress has also forged an alliance with the Nationalist Congress Party (NCP) and other regional outfits. Check Full Schedule of Lok Sabha Elections 2019. In 2014 Lok Sabha elections, the BJP, Shiv Sena and Swabhiman Paksha contested in an allaince and bagged 23, 18 and one seat respectively in Maharashtra. The Congress has won only two seats and NCP just four. Lok Sabha elections will begin on April 11 and will be held over seven phases across the country followed by counting of votes on May 23.